When SpaceX launches its 17th rocket of the year out of Earth’s atmosphere next weekend, the focus won’t be so much on what’s going up — but what’s coming down. The launch represents the first time the Hawthorne company will attempt to return its Block 5 booster from where it took off. The launch is scheduled for sometime between Saturday evening, Oct. 6, and early the next morning from Vandenberg Air Force Base. The spectacle promises two dramatic scenes: the rocket blasting off under nine Merlin engines, and then the bottom half of the rocket descending back from the sky in a controlled landing, with the engines firing in perfect unison. Or at least that’s what engineers have planned. The goal for the company founded by billionaire Elon Musk is to reuse its booster rockets, making space flight more affordable. 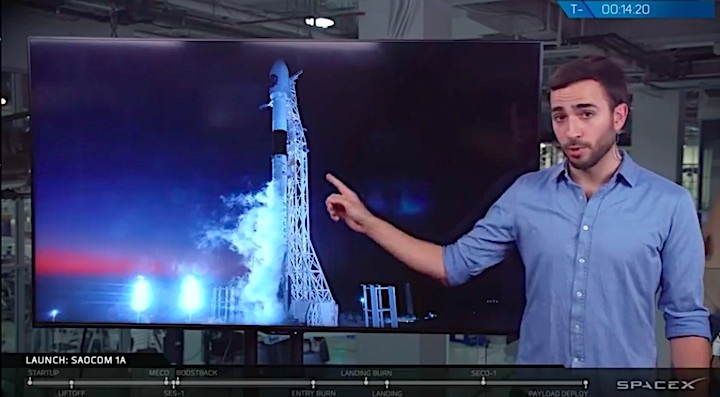 Representatives have said they hope to reuse the Block 5 on the Falcon 9 rocket up to 10 times, turning each flight around for re-launch in 24 hours. Whether that’s realistic has yet to be proven. with next week’s launch the first and pivotal step toward that goal. SpaceX has already proven it has the ability to recover the boosters on a platform at sea, but next week’s launch will be the first, and most pivotal, step toward the goal of returning the rocket on land. The company ultimately plans to carry humans to Mars on its Big Falcon Rocket. But in the meantime, it has also completed multiple missions to resupply the International Space Station and launch communications satellites into orbit. Next week’s mission will do the same, propelling the first of two satellites for the Argentine Space Agency — the second coming next year — that will perform radar observations from low-Earth orbit; the primary goal will be to mitigate the effects of natural disasters. The satellites will operate jointly with the constellation of Italian satellites launched roughly 10 years ago. 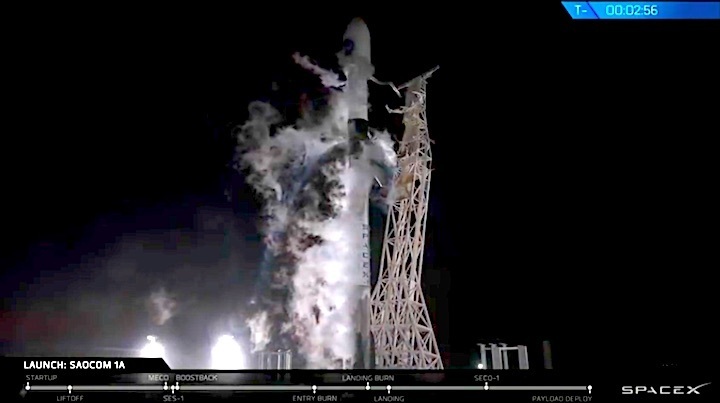 This rocket includes core 1048.2, the same Block 5 first stage that launched Iridium NEXT Flight 7 from the same launch pad. After helping push Iridium-7 to orbit, core 1048 landed on the Autonomous Spaceport Drone Ship (ASDS) Just Read the Instructions. Core 1048 was brought back to the Port of Los Angeles to be unloaded from the ASDS and was later shipped back to SpaceX’s headquarters in Hawthorne, CA for inspections and refurbishment. 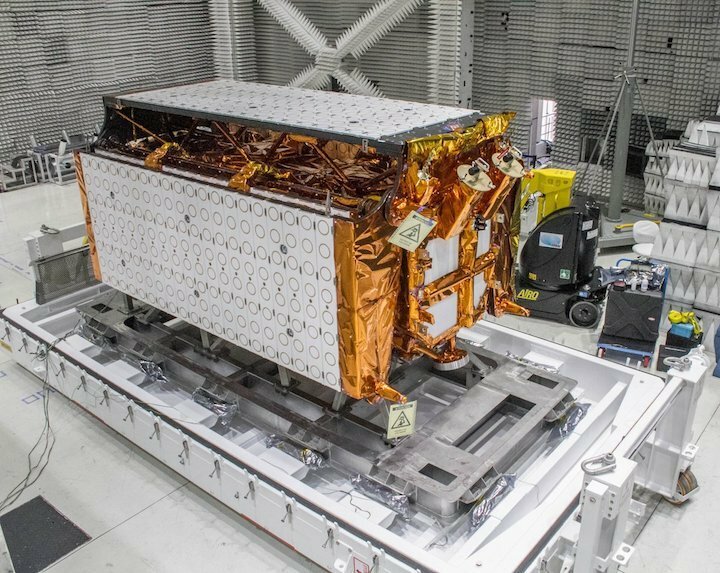 After refurbishment, 1048 was sent back to SLC-4E to begin preparations for the SAOCOM-1A mission. 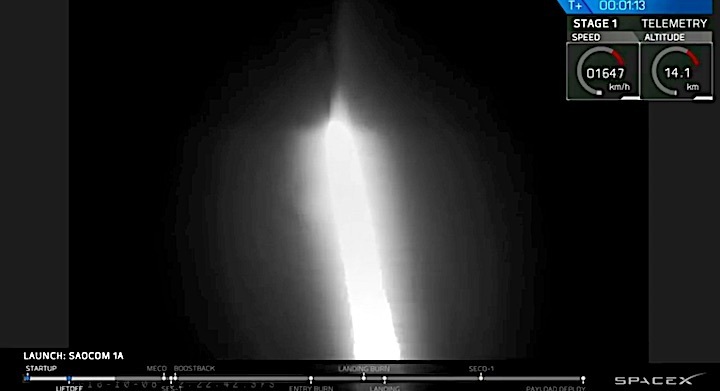 The payload for the launch is the 3000kg SAOCOM-1A satellite, being launched for CONAE – the Argentine space agency – to a Sun-Synchronous Orbit (SSO). SAOCOM-1A will be a part of a future six-satellite constellation in collaboration with the Italian COSMO-SkyMed constellation. Together with the rest of the COSMO-SkyMed constellation, SAOCOM-1A will image Earth in high-resolution two times per day. It will use its L-band Synthetic Aperture Radar (SAR-L) to image the globe at up to 7m resolution in wide swaths, up to 400km wide. 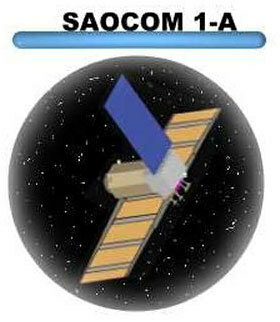 SAOCOM-1A will be joined in 2019 by its twin, SAOCOM-1B. Like 1A, 1B will also be launched on a Falcon 9 from Vandenberg. 1B will also be launched alongside four secondary payloads, the SARE-1B 1-4 satellites, which will work alongside 1B. 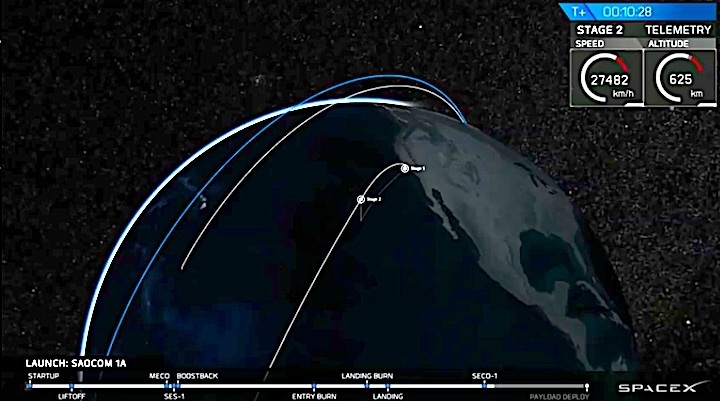 The SAOCOM-1A launch will include the first RTLS landing at Vandenberg. Previously, all RTLS landings have occurred at Cape Canaveral Air Force Station, specifically at Landing Zones 1 and 2. 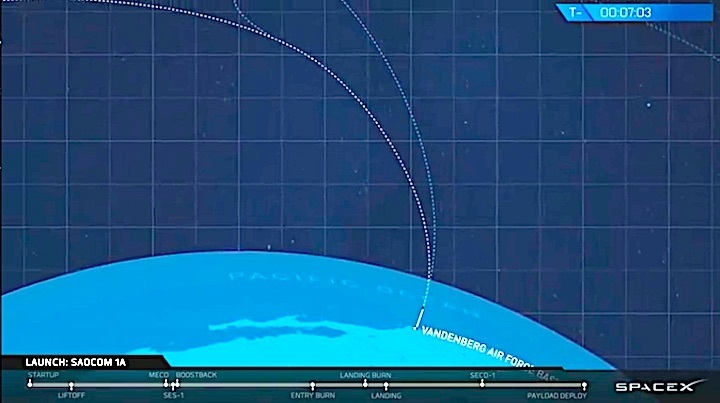 The Landing Zone at Vandenberg has been referred to as LZ-4 in the FCC filings made by SpaceX. LZ-4 likely stands for Landing Zone 4, although the name choice is interesting as there is currently no Landing Zone 3. LZ-4 is situated next to SLC-4W, a former Atlas-Agena and Titan launch pad. SLC-4W was first used for an Atlas-Agena launch in 1963 and was later converted to support the Titan IIIB rocket. After the latter’s retirement, the pad was then used to launch the Titan 23G, before being deactivated in late 2003. In September 2014, unused structures at the pad from the Titan era were demolished to make way for future activities. SpaceX signed a five-year lease in 2015 for SLC-4W, and began clearing land for its new landing pad soon after. Concrete was poured in sections to form the new landing zone, which was recently capped off with new paint – and apparently with the usual “X” – although not yet clear per satellite photos – at the center of the pad, similar to the designs of Landing Zones 1 and 2 and both of SpaceX’s Autonomous Spaceport Drone Ships. LZ-4 is situated approximately 0.3km from SLC-4E, where SAOCOM-1A will launch from. This is much different than the setup at Cape Canaveral, where LZ-1 is over 9km from SLC-40. The smaller distance will help to reduce the minimum time between launches, as it will take much less time to ship the landed first stage back to the Horizontal Integration Facility (HIF) to ready it for another launch. 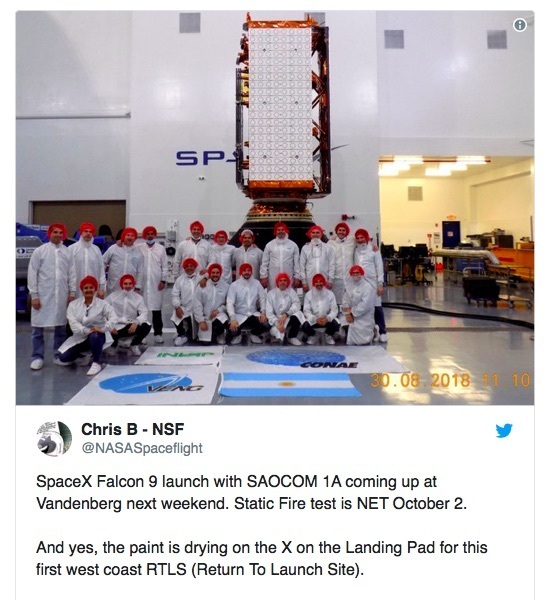 After SAOCOM-1A, the next Falcon 9 launch will likely be either SSO-A or Es’hail-2, both scheduled for NET November from SLC-4E and LC-39A, respectively. 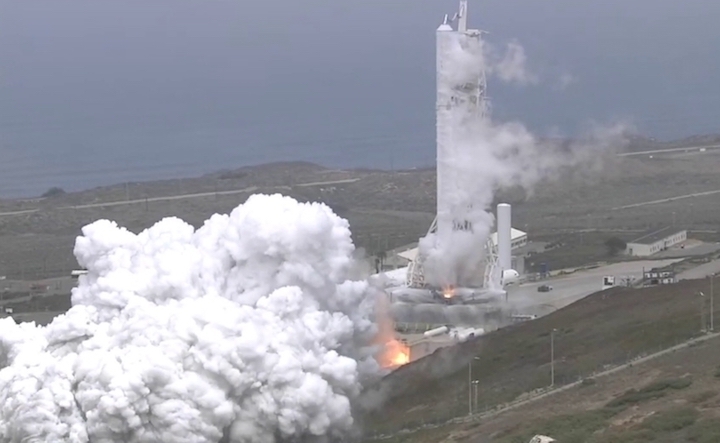 Ventura County residents could see a rocket launch and hear sonic booms in a few days as part of a historic SpaceX mission from Vandenberg Air Force Base in Santa Barbara County. 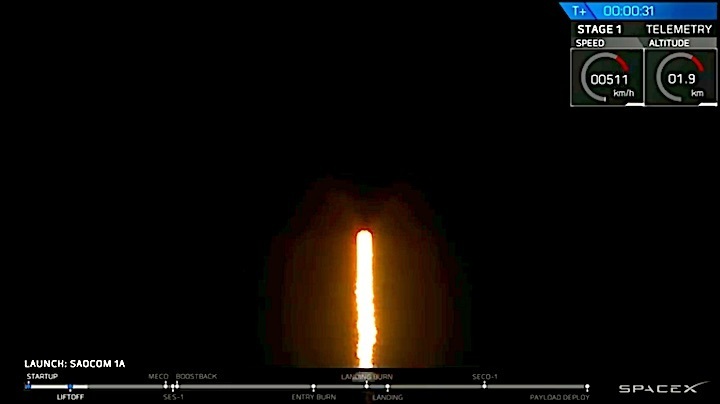 SpaceX said Wednesday that it will launch a satellite on a Falcon 9 rocket from Vandenberg on Sunday. 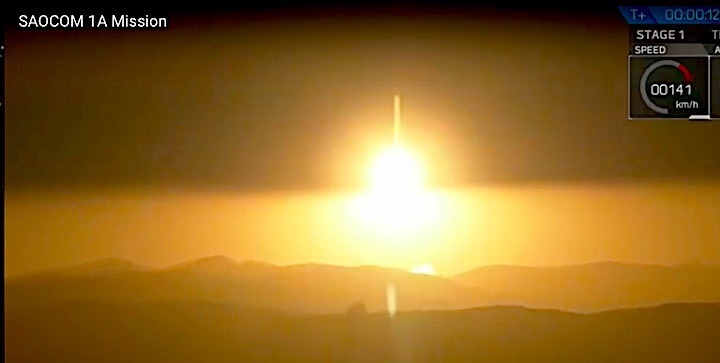 The rocket plume is expected to be illuminated by the sun after the launch at 7:22 p.m. 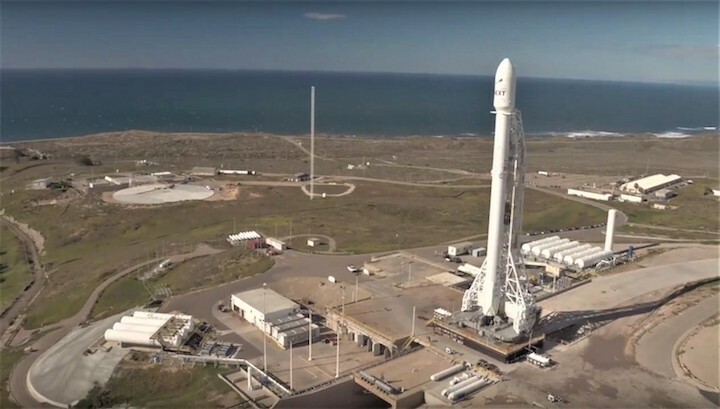 The launch had been planned for Saturday, but SpaceX said Wednesday it was rescheduling the launch and would use the extra time to complete pre-flight checks. The Saturday launch was planned for the evening, but SpaceX did not release a new launch time with Wednesday's announcement of the new date. 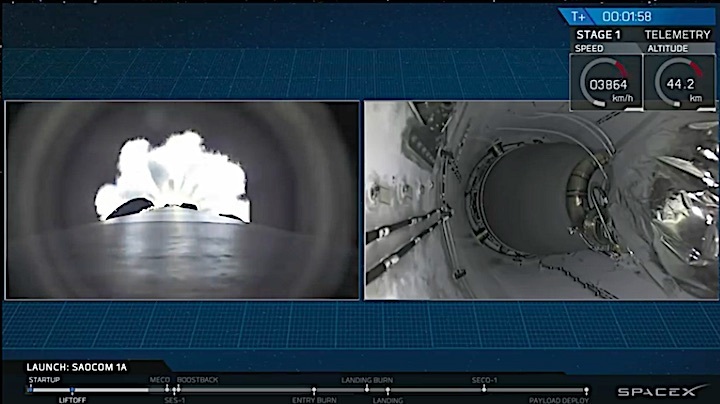 The historic part of the mission will occur soon after the launch when SpaceX attempts to land the first stage of the Falcon 9 rocket at Vandenberg. 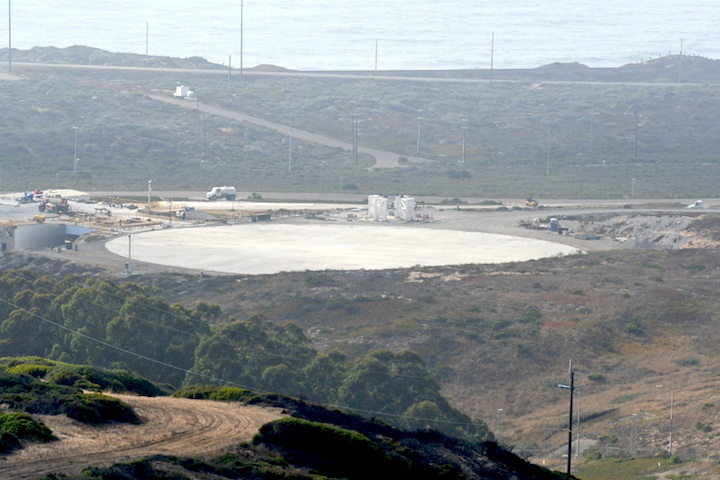 This will be SpaceX's first landing attempt on the ground at Vandenberg. It has previously made such landings on drone ships in the ocean. 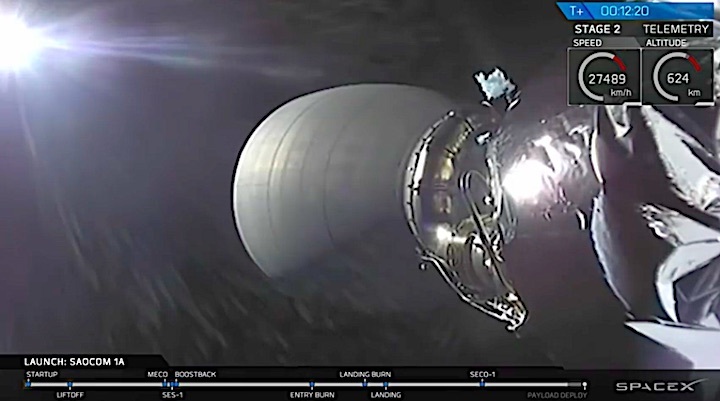 The 30th Space Wing said in a news release Tuesday that Central Coast residents may see the first stage of the Falcon 9 returning to Vandenberg. This may include multiple engine burns. Residents in Santa Barbara, Ventura and San Luis Obispo counties also may hear sonic booms. A sonic boom sounds like an explosion or thunder and is the result of shock waves from a vehicle traveling faster than sound. The sound of the boom will depend on weather conditions and other factors. The launch of the satellite, SAOCOM 1A, is being conducted for Argentina’s space agency. The satellite is designed to provide radar imagery to help emergency responders and monitor the environment, including the collection of soil moisture measurements. 30th Space Wing Facebook page at https://www.facebook.com/30thSpaceWing. 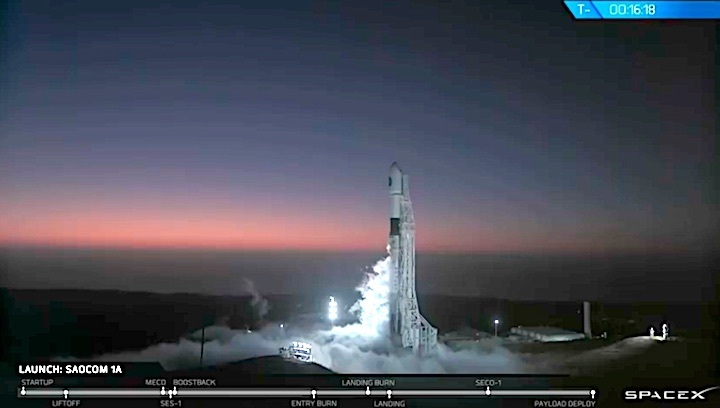 VANDENBERG AIR FORCE BASE, Calif. -- The SpaceX Falcon 9 rocket carrying the SAOCOM 1A satellite from Space Launch Complex-4, is delayed to complete pre-flight vehicle checkouts; the rocket and payload are healthy. 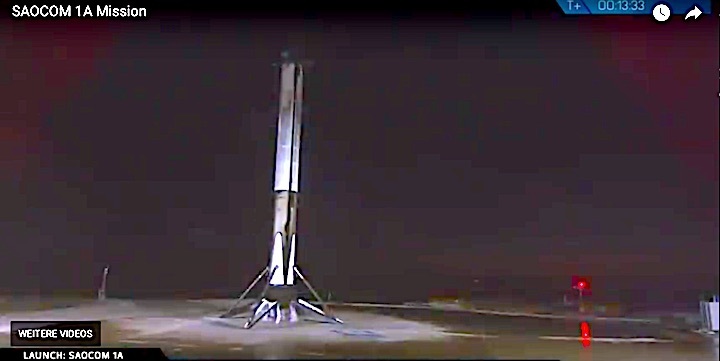 The launch is rescheduled for Sunday, Oct. 7, at 7:21 p.m. PDT. 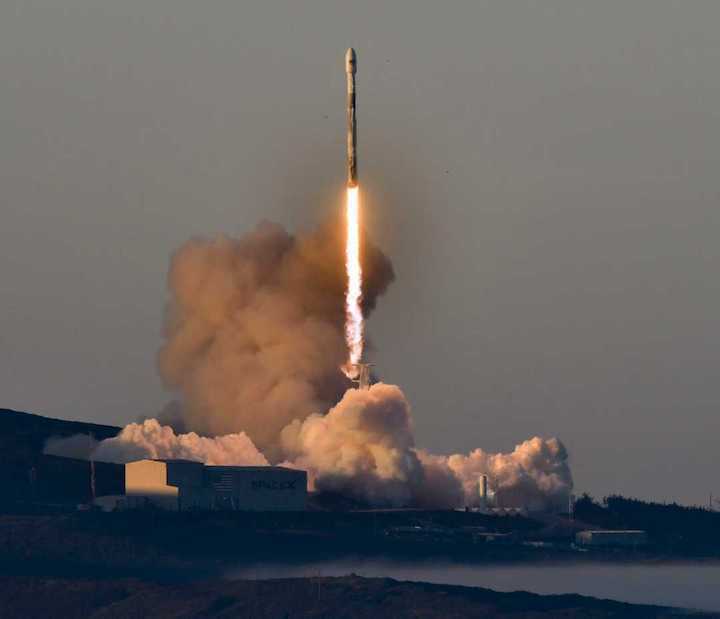 The public can view this launch from the Hawk's Nest on Azalea Lane off of Hwy 1 just a half mile south of Vandenberg Air Force Base's main gate. The Hawk's Nest gates will open on Sunday at 5:00 p.m. PDT and close at 7:10 p.m. PDT. As a reminder the public is asked not to bring or consume alcohol, smoke, nor have any open fires or barbeques. Do not bring any pets. RVs and campers are also prohibited. Weapons are not allowed, additionally, the use of small unmanned aerial systems within five miles of any active runway, such as Vandenberg's, is prohibited. 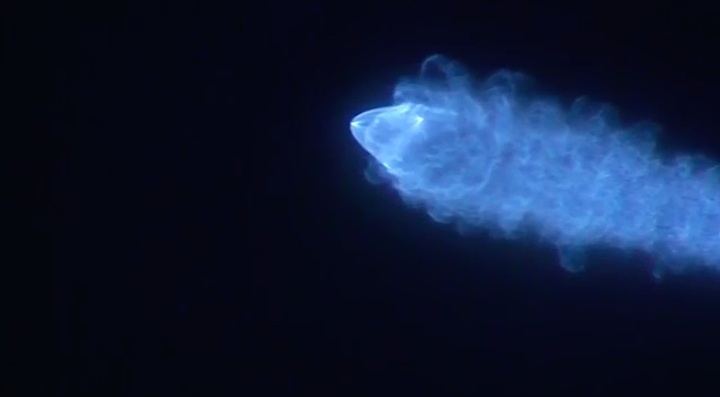 SpaceX launched its Falcon 9 rocket from Vandenberg Air Force Base in California on Dec. 22, 2017, with bystanders on the ground getting a gorgeous light show. 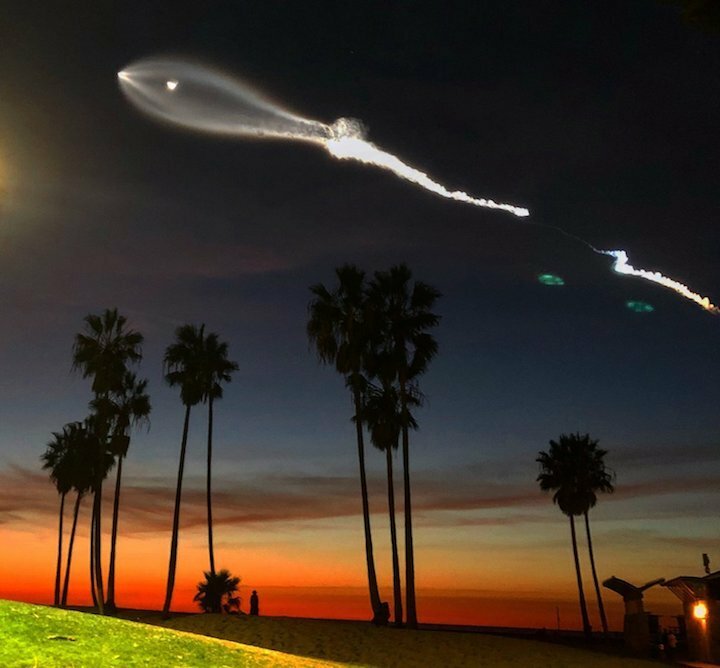 f you're in the vicinity of Vandenberg Air Force Base in California Sunday evening (Oct. 7), you might hear some strange booming and see some weird lights in the sky. 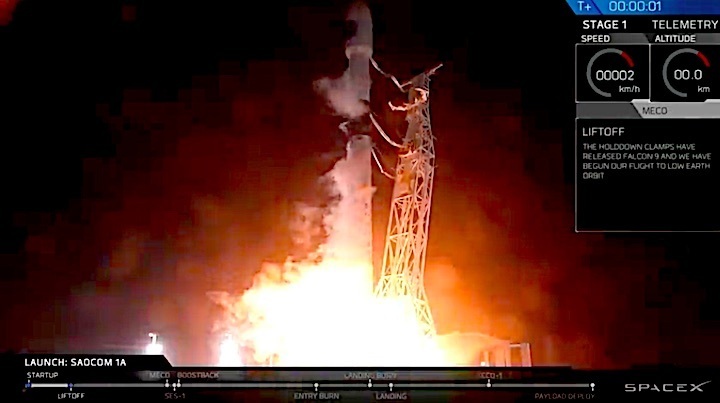 But the Air Force would like you to know that there's no need to worry; something entirely normal is going on — a rocket that heaved its way up into space will be falling back to Earth, correcting its trajectory with "multiple engine burns," and then (if all goes well) settling comfortably back on its landing struts in the vicinity of its launch site. 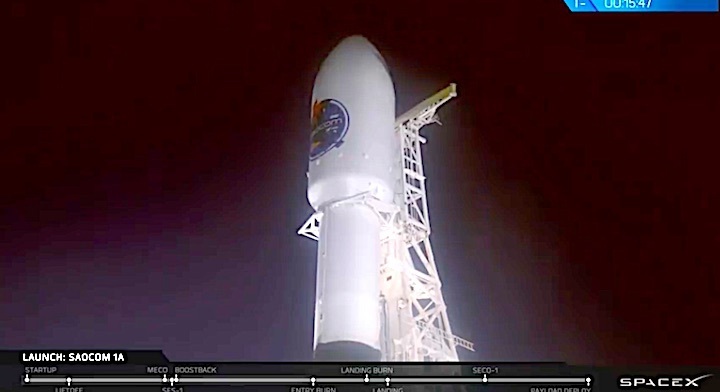 The rocket is currently scheduled to launch at 7:21 p.m. local time, carry the SAOCOM 1A satellite into space, and return to Earth shortly afterward. According to a Facebook post by the Air Force's 30th Space Wing at Vandenberg, "local residents" can expect to see something of the rocket itself as it returns to the base, while people as far as Santa Barbara, Ventura and San Luis Obispo counties may hear thunderclap-like sonic booms, depending on the weather. 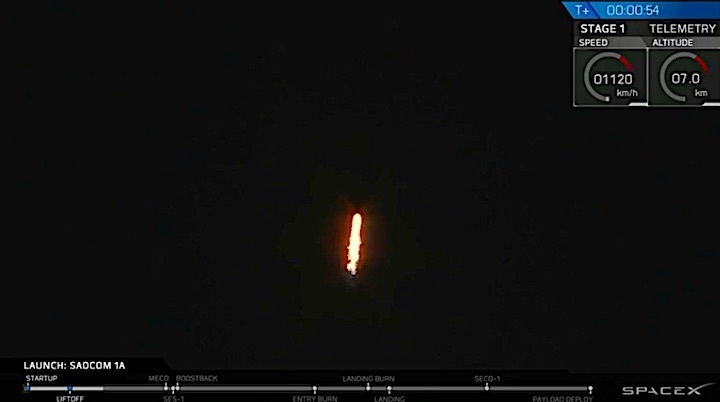 Following a smooth Static Fire Test of its nine Merlin 1D+ first-stage engines on Tuesday, 2 October, SpaceX stands ready to launch—and land—its first Falcon 9 booster on solid ground this weekend, as it undertakes an ambitious mission to deliver Argentina’s SAOCOM-1A radar-imaging satellite into orbit. 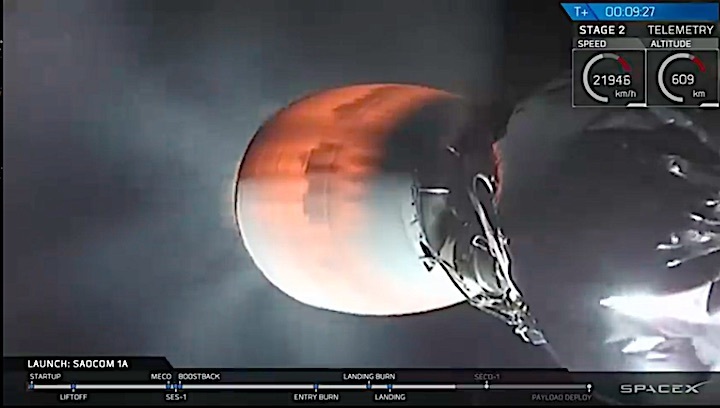 Liftoff is currently scheduled for 7:22 p.m. PDT (10:22 p.m. EDT) Sunday, 7 October, and will mark the 17th SpaceX launch of 2018, placing the Hawthorne, Calif.-based organization in pole position to eclipse its “personal best” of 18 missions, achieved in 2017. Launch was originally scheduled for Saturday evening, but was postponed 24 hours, to enable SpaceX “to complete pre-flight vehicle checkouts”. But the real significance of Saturday’s flight will be the first Return to Launch Site (RTLS) on the West Coast. 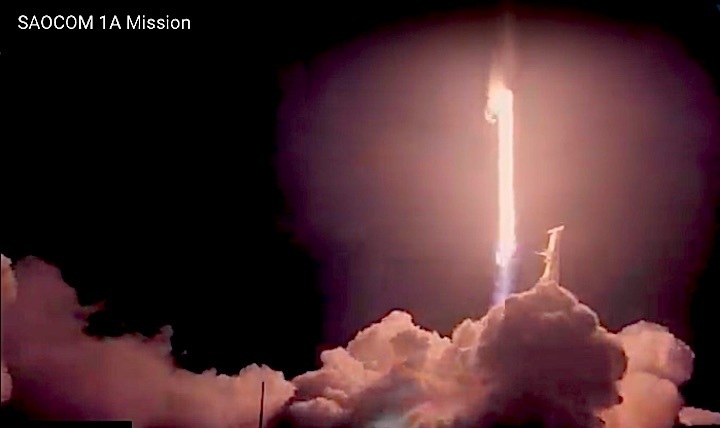 Although “land” landings have become relatively commonplace on the East Coast, with first-stage boosters having alighted at Cape Canaveral Air Force Station, Fla., on no fewer than 11 occasions since December 2015, the resounding sonic boom and blazing fireshow of a rocket returning from the edge of space has not yet been seen at Vandenberg.